Valentine's Day is coming up and Sephora has a new freebie offer! 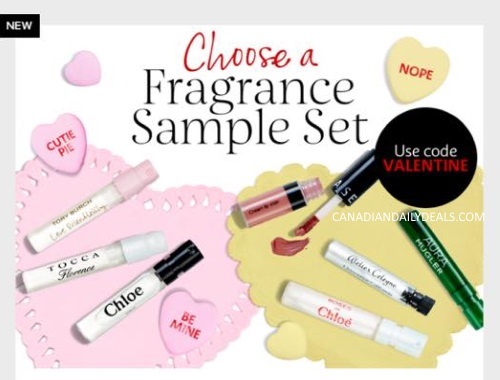 Get a Free Valentine's Day scent sampler set and a trial-size lipstick free when you spend $35 or more online. Enter the promo code VALENTINE at checkout. Offer is valid for a limited time. Plus get 3x Beauty Insider points on any fragrances purchases through February 14, 2017.